Do you need a high-quality standing desk to ease some of that back or shoulder pain from sitting? Willing to pay more to invest in a sit-stand desk that is solidly built with cool tech features? The top of the range iMovR Lander may be the standing desk that fits your needs. Made by Seattle-based iMovR, a company known for its wide range of quality ergonomic furniture such as the Ziplift desk converter, the now-retired but once beloved Everest standing desk, and many more ergonomic products, the Lander is the result of over two years of development towards producing a standing desk that is both highly functional and revolutionary. Did you realize that iMovR’s products have been featured in both our best standing desk list and our best standing desk converter list? If you like iMovR products, see how they hold up against the competition! 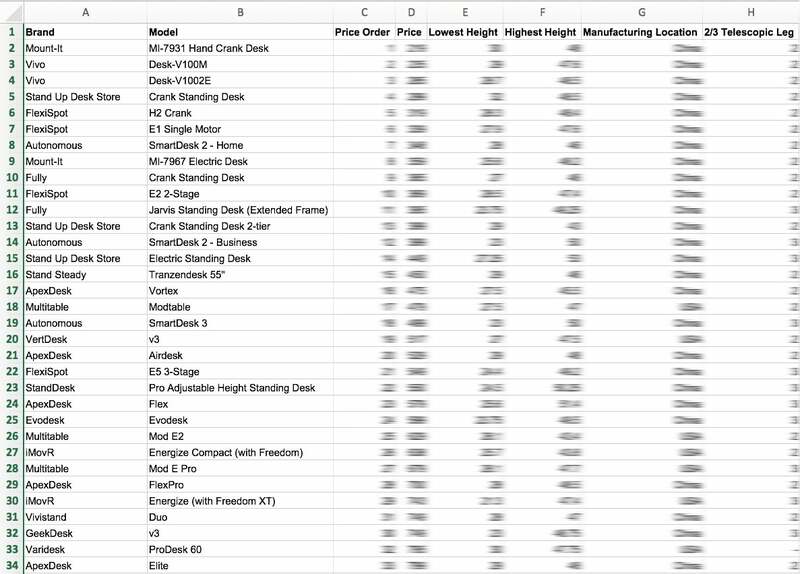 So far, the specs of this standing workstation are looking good. Let’s look deeper into some of the pros and the few cons we could find. This futuristic standing desk comes with a smartphone app called Desk Control, available for free on both Google Play and Apple stores. It syncs the desk and your phone via Bluetooth technology to allow you to control the desk from the convenience of your phone. You can adjust the height, save your favorite sitting and standing settings with 4 presets, and select health goal reminders to remind you to stand up after a certain amount of time. Sitting for long periods of time is unhealthy for your body, and we love that this app pushes you towards a healthier lifestyle. If you struggle with complicated apps and are wary of fancy tech, do not worry. Even with all these features, the app remains simple and intuitive to use. 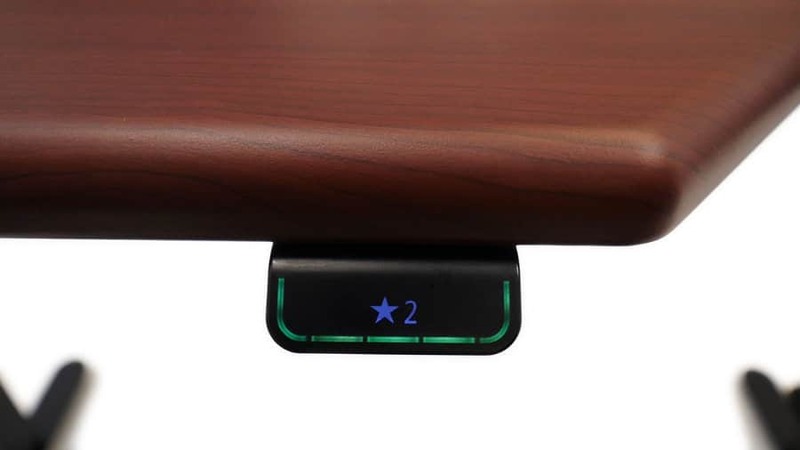 To avoid having to reach for your phone every time you go from sitting to standing and vice versa, there is a paddle controller attached to the desk. To move the desktop, all you have to do is just press up or down on the controller using a two-tap motion. A small LCD screen on the controller shows the height of the table, to the nearest 0.1 of an inch. If you decide to eschew the phone app in favor of the paddle, you can still program the standing reminders on the paddle and enjoy the extra movement in your day. iMovR did not skimp on attention to detail when manufacturing this standing desk. The smooth 3D laminated finish extends to the entire surface, including the 2 cable holes in the corners. Other standing desks may just have bare wood cutouts for the cable holes, but the iMovR Lander’s finish covers these holes and matches the surface of the desk to go over every sharp corner. The result is a beautifully elegant desktop, but the benefits of a 3D laminate finish go beyond aesthetics. Compared to a standard finish, the 3D lamination offers a higher degree of protection against moisture and warping. It increases the durability of the iMovR Lander desk, making it a worthwhile purchase. The desktop is also available in a whole range of appealingly named colors split into two categories. If you prefer a wood grain finish, you can choose from Light Maple, Almond Cherry, Hayward Cherry, Clove Mahogany, Urban Walnut, and Shaker Cherry. But if you need a more neutral desktop, your options include Designer White, Northern Cloud, Shark Gray, and black. All of these color choices would satisfy even pickiest interior designer. My personal favorite color is Northern Cloud, light enough to brighten the room but with just enough color to remain chic. The color options go beyond the table top. Even with the legs, you have a choice of three colors – silver, black or white. As all iMovR Lander desks are made to order, you can personalize your desk to your own unique preferences. The extensive choices are not just limited to color. The iMovR Lander comes with 8 different desktop lengths to choose from, between 41″, 47″, 53″, 59″, 65″, 71″, 77″ or the largest at 83″. The width of the desk is the same across all lengths, at 30 inches deep. You are bound to find a size that fits your equipment and some users have even bought the largest desk to use as a communal standing desk. Although the following video is a little old, I think it gives you a great idea of how the 3D lamination works. Desk add-ons can be a double-edged sword…some people love the customizability whereas others don’t like that every add-on will cost them more. Whichever camp you are in, we think the Lander provides add-ons you’ll probably want to buy. With add on caster wheels, keyboard trays, and even extras to help with cable management (the advanced wiring accessory kit), if there is one thing the iMovR Lander is not short of – it is good accessory options. Users have consistently recommended the keyboard tray made by iMovR, stating that it is far less wobbly than the average keyboard tray and allows adjustments to any angle up to 85 degrees. Having the ability to tilt the keyboard tray will alleviate more stress off your arms and help keep your wrists healthy. You have a lot to choose from to complete your standing workstation. After all, even if a standing desk is a major step towards a more ergonomic working style, to reap the most benefits and optimize comfort levels, you do need to accessorize. For more accessory ideas, check out our articles on anti-fatigue standing mats, under desk cycles, and monitor arms. If you are looking for a desk that tries to limit your choices and make your life easier by having most features already included, make sure to take a look at the Varidesk ProDesk 60 electric. 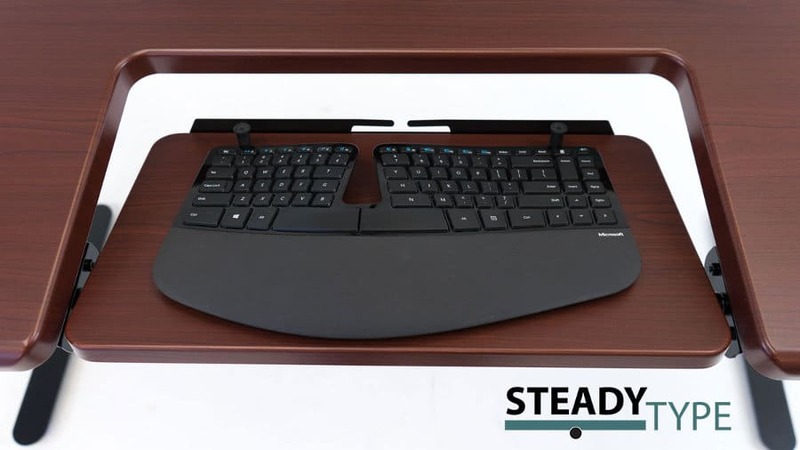 Steady Type is iMovR’s innovative maneuvrable keyboard tray with tilt features. Great for those with wrist problems. The motor that powers this electric sit-stand desk is quiet, with only 55 decibels of sound produced when the desk is adjusted. Some users even went as far as to describe this standing desk as “whisper quiet”. That doesn’t mean it is weak though. In fact, it moves the desktop up and down at a rate of 1.6 inches per second, making the iMovR Lander one of the fastest standing desks on our comparison list of 50 standing desks. The lifting capacity is nothing to laugh at either, with a solid 360 lbs maximum weight. For the vast majority of users, this weight capacity will be more than enough. Even at higher height levels with casters attached, the desk is said to be still very stable. The two offset legs further add some crucial stability as they are welded together, thus eliminating the possibility of screws coming loose over time. If huge weight capacity is what you need, then you can always opt for a 4-legged option like the Evodesk Pro. This is a feature that we think really separates this product from almost all other on the market, and is something we have yet to see in other desks. The above video shows the process with the L-shaped version of the Lander, but it is essentially the same process. I’m talking about no tools assembly! This is a dream for those of you who don’t want to spend too much time and energy putting together standing desks. 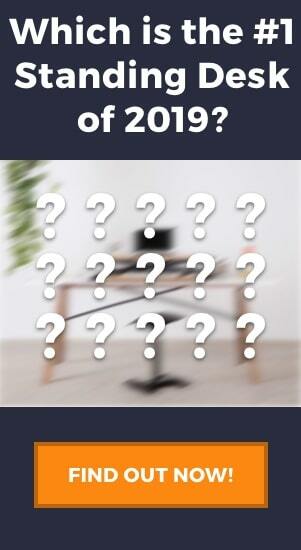 The official iMovR website also states that this desk arrives 98% pre-assembled and that it only takes minutes to get the desk up and working. The power, control box, and angle brackets are pre-installed on the desk. The minimal amount (just 2 percent!) of the assembly that you have to do yourself is made almost fool-proof with the colored assembly manual that comes with the desk. As the desk is assembled on its back and then flipped upside down into position, two people will be able to assemble this desk more easily than alone, although it is possible to do it with a single pair of hands. Shipping is free within the continental USA, so that is another perk for you. 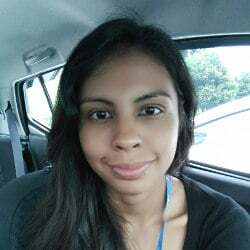 Do note that some may find the package to be a little bit on the heavier side, with the smallest desktop size shipping at 141 pounds and the 83-inch desktop shipping at 204 pounds. When it comes to warranty, it can’t get much better than this. 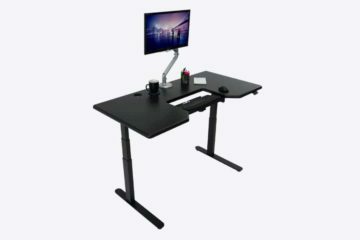 The Lander standing workstation comes with a lifetime warranty for the frame, 10 years for the motor including the electronic parts, and a 5-year warranty for the 3D laminated desktop. iMovR also has a 100-day satisfaction guarantee, which is great in case you change your mind on this desk after buying it. If you are not happy with this standing desk within 100 days, just ship it back to iMovR in its original packaging and you will receive a full refund minus a 20% re-stocking charge. User reviews have also praised the good customer service, a great advantage when it comes to making refunds and warranty claims. Here’s a better look at the simple touch contoller and also a close up of the beautiful 3D laminate finish. As you can see this list is very short which is a pretty clear sign that I had to clutch at straws here! That said, we did find a small issue that shouldn’t bother many people but is worth pointing out. The two tap paddle makes it simple and convenient to adjust the height, but this may be a double-edged sword. One user complained that she had activated the paddle accidentally quite a few times. This is more likely to be a minor annoyance, but it is still something you should be aware of. This is not a cheap standing desk, nor is it premium priced. To be fair, I really think that this desk offers premium features at a mid-range price, and I could have easily pointed this out in the pros of the product. In saying this, not everyone has the budget to spend almost $1000 on an office product, so if that is the case you may consider the Lander a significant investment. 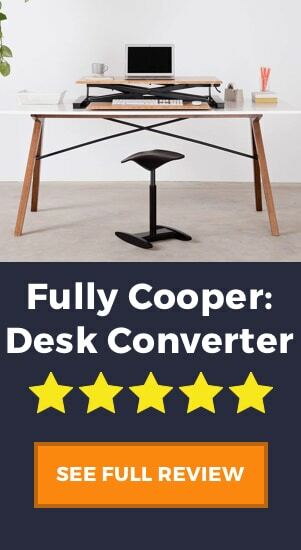 If this is your very first sit-stand desk and you are not very sure that you would like it, it may be worth testing out one of the cheaper standing desk models first before taking a leap into getting the iMovR Lander. Then again, compared to other desks of a similar price we’d say you’re better off going with the Lander. A smartphone app, personalized 3D laminate desktop, lifetime warranty, there really isn’t much else you could ask for in a standing desk. We gave the Lander a solid 4.75/5 rating due to the fact it is a solid USA-made product from a company with a good reputation and great customer support, and in terms of cost to benefit ratio there aren’t many desks that compete with the iMovR Lander. On top of all this, there is free shipping, a total of 17 days build and shipping period, and then a hassle-free assembly at home, which means you’ll be up and running in no time.